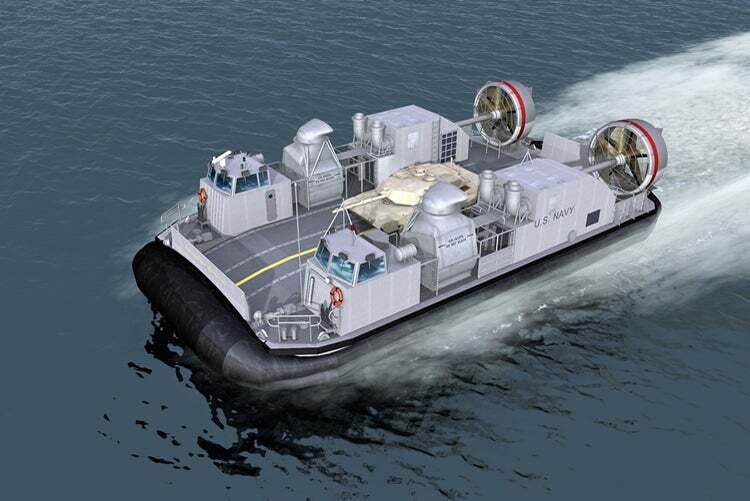 The US Navy has awarded a contract to Rolls-Royce to power a future naval fleet of Ship-to-Shore Connector (SSC) hovercraft. Under the deal, Rolls-Royce will deliver MT7 gas turbines for connecting to a sophisticated gearbox system on each SSC to provide propulsion and lift. Rolls-Royce Naval president Andrew Marsh said: "Our gas turbine technology will increase the power of the hovercraft by 25%, compared to the previous generation, enabling each craft to transport up to 74t of cargo at speeds over 35k. "At the same time, our engines will improve fuel efficiency by 11%." The company will also design and develop air intake and exhaust systems for the SSC fleet. Rolls-Royce will partner with Textron Systems, which has been awarded a $212.7m contract to construct a SSC test and training craft to replace the US Navy’s current landing craft, air cushioned (LCAC) vehicle, which is nearing the end of its service life. Featuring modern turbine materials and technology, the MT7 serves as power system to support a range of naval applications, such as main propulsion and power generation. The SSC will be designed to support the rapid transfer of personnel and heavy equipment for navy and US Marine Corps (USMC) from sea bases to shore. Deliveries of the connector are scheduled to begin in 2017, while the initial operational capability is expected to be achieved in 2020. Image: US Navy’s Ship-to-Shore Connector (SSC) hovercraft. Photo: © Rolls-Royce plc.